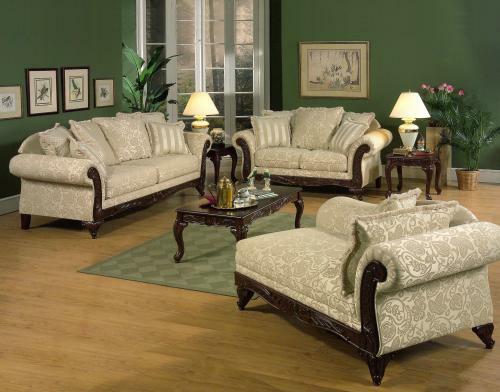 The time honored style of your traditional living space is asking for the Momentum Beige Living Room Group by Hughes Furniture. Accented with dark cherry wood fronts and legs and fringed accent pillows, this living room group is the ideal combination of style and comfort. Bring home the distinguished Momentum Beige Living Room Group by Hughes Furniture and complete your traditional décor.